Chicago radio icons Ed Volkman and Joe Bohannon, whose celebrated partnership as Eddie & Jobo has endured through 25 years of ups and downs, are out of work again. 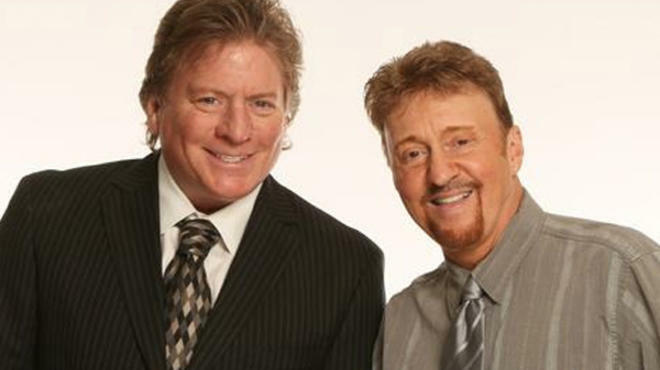 On Thursday they were cut after 20 months as morning personalities on CBS Radio classic hits WJMK-FM (104.3), the station they helped kick off as K-Hits in 2011. They declined to go on the air for a final show Friday, but will be paid through the remainder of their two-year contracts, which expire in March. In the latest Arbitron Portable People Meter survey, Eddie & Jobo were tied for 20th place in mornings with a 2.1 percent share of listeners between 25 and 54, the station’s target demographic. Overall, K-Hits ranked 18th with a 2.5 share. Mornings will be jockless through the end of the year, Cavanah said, with plans to launch a new, full-service local morning show January 2. “We need to move on a show that complements a ‘more music’ approach, similar to what we’re doing on other [CBS Radio] classic hits stations,” he said. Speculation that the station might switch to sports or another format drew unequivocal denials from all sides. No talent decisions have been made, but insiders under consideration include weekend and fill-in host Ken Cocker, and recently hired evening personality Dave Fogel, who hosted mornings on Cumulus Media classic hits WLS-FM (94.7) until last September. Once their current deal is up, Volkman said, they’ll be “looking at every option,” but hope to stay in Chicago. “We’re from here. We’re too old to be jaunting around WKRP in Cincinnati up and down the dial,” he said. Volkman is a second-generation Chicago broadcaster whose famous father, Harry Volkman, retired after more than 50 years as a meteorologist. For now, Eddie & Jobo will be enjoying yet another extended vacation with pay. But this one won’t be nearly as long or as lucrative as last time when CBS Radio bought out their multimillion-dollar contracts from Top 40 WBBM-FM (96.3) in 2008.